Serenity...that's what this cottage in the woods offers you. Fishing, kayaking, boating, hiking, being amongst nature, it's all here. Very private, 23 wooded acres with only 6 homes on Swantown Cove. Entertain guests on your deck and take them for a sunset cruise after you dinghy out to your boat moored in the cove. Or picnic at the waterside community area. Can be used year round or as a vacation home. Recent updates to the home mean peace of mind and little maintenance for the new owner. 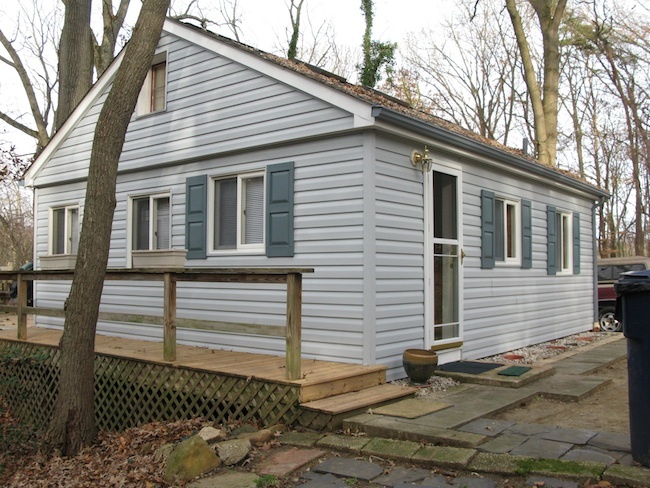 This location is just minutes to nearby marinas, 20 minutes to DE, Baltimore and Philly are 1.5 hrs away.